Many people struggle throughout their lives with yo-yo diets, losing weight only to gain it back over the following months. The trouble is, our bodies often naturally want to retain some fat stores as an emergency supply of energy. Without exercise our metabolism also slows down, which only makes matters worse. This is why there are so many weight loss supplements on the market that appear to be a magical solution to these problems. Unfortunately, many of these supplements are not as effective as they claim. Lean Xplode uses Green Tea and Garcinia Cambogia to aid weight loss. In this review, we examine whether or not it is a good choice for shedding stubborn fat. 1. What Is Lean Xplode and What Does It Do? Lean Xplode, is a lesser-known fat burning supplement, in comparison to many other products and brands on the market. But that doesn’t necessarily mean it is any less effective. On Amazon, it additionally claims to assist in “rapid fat loss,” among other things. The packaging appears to be quite middle of the road and not aimed at any one demographic of customer. However with a name like ‘Lean Xplode’ you might be forgiven for thinking the product is a bit more on the masculine side. The ingredients in Lean Xplode seem quite encouraging at first glance. That was until we discovered they were listed in a proprietary blend. The main issue being that the exact doses of the ingredients are not disclosed anywhere on the label or product website. That is one immediate mark down for this product. Now we’ll determine if the ingredients themselves are actually effective for fat burning. This is a definite positive for Lean Xplode. Green coffee bean is one of the best supported thermogenic and fat burning ingredients out there. This is due to the amount of chlorogenic acid these unroasted coffee beans include. This active ingredient reduces levels of glucose in your liver, and so your body compensates for this by using up stored fat. Garcinia cambogia is a nutrient which many claim acts as an appetite suppressant. It is a flavoring agent for food and so can increase satisfaction levels after meals. Triglyceride levels in the blood can potentially decrease with supplementation of garcinia cambogia. This looks like a joke at first glance and certainly is a new one on us. This ingredient is used in Chinese herbal medicine to enhance sexual performance. It is thought to work by promoting blood circulation. Why it has been included here remains a mystery to us. Unless it is to generally promote all-round functional wellness by improving circulation. The weight loss links are yet to be seen or proven. Alfalfa is a plant that originates in South and Central Asia. It has been grown around the world for centuries and is celebrated for its high nutrition content. It has also been used as feed for animals. Alfalfa is often consumed by humans as a supplement or in sprouted form. It is high in vitamin K and also contains many other nutrients, including vitamin C, copper, and folate. There is some evidence from small studies suggesting that it can help lower cholesterol in the blood. This is an obscure inclusion here, since psyllium is usually used as a bulk-forming laxative. It soaks up water in your gut and helps you to pass waste more easily. This may help reduce bloating as well as temporarily make you weigh less by reducing water retention. Raspberry ketone has become a popular supplement in weight loss products in recent years. Manufacturers and dieticians alike sometimes claim that it can aid weight loss and increase fat burning. Alongside green coffee bean, this is another effective and proven addition to this weight loss supplement. It is generally a safe, natural stimulant that can help boost energy and alertness. There have been countless studies that have proven it to increase metabolism and energy. Thus, it gives you the extra power you need for working out. This is ancient antioxidant will likely help you feel energetic and healthier. There have been studies proving that it has high thermogenic properties, which is ideal for weight loss. Once absorbed, these catechins help to promote your body’s overall level of the fat burning hormone norepinephrine. If those were not enough plus points for this ingredient, the tea also contains L-theanine. This is an amino acid found in many supplements, which helps with concentration and focus. We feel some of the weaker and more obscure ingredients included in this supplement could have been replaced by better choices, like cayenne pepper, piperine and glucomannan. All of these either help with fat burning, ingredient absorption or act as proven appetite suppressants. 3. How to Use Lean Xplode? Generally, this is on the low side. Effective fat burning supplements usually recommend more capsules spread right through the day. This is in order to keep the active ingredients in your bloodstream and keep the fat burning effect continuous. In theory the more frequently you take a pill, the more likely you are to see the full benefits. Lean Xplode carries the Prime Labs logo. Prime Labs own and distribute several fat burners and sleep aids. It is a bit difficult to find the Prime Labs website quickly through Google. Once we did find it we noted that there were vast number fat burners for sale by this brand. Lean Xplode was not actually listed at the time of writing. This makes us wonder whether the product has been discontinued due to a lack of demand. We did some more digging and found that while people do review Prime Labs products on social media, the company themselves do not appear to have a huge following. They have just a few hundred likes on Facebook and even less on Instagram. It appears they may also manufacture a competing product called Luxury Lean. This is often confused for Lean Xplode, but they are not the same formula. Since this supplement contains all-natural ingredients, users are fairly unlikely to suffer from side effects. Taking too much caffeine may have diuretic consequences or affect sleep at night. However, with just two capsules a day, we don’t think you will need to worry about this. 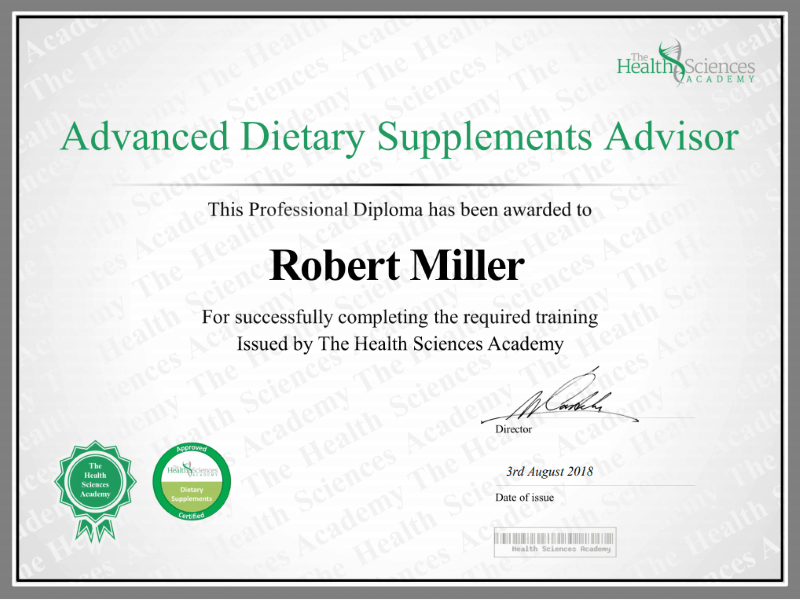 As with any new supplement you introduce to your diet, it is recommended to consult your general practitioner for advice before use. 6. Where Can You Buy Lean Xplode? Lean Xplode can be bought easily through commercial sites, such as Amazon, when in stock. It may also be available on the Prime Labs website from time to time. 7. Does Lean Xplode Work? This supplement may help you manage your weight by helping you reduce your appetite. It also contains ingredients that stimulate thermogenic reactions in your body which may help boost your metabolism. Unfortunately, it is not suitable for pregnant or lactating women. The time after having a baby is when women are most likely to consider a fat burner. However many of these supplements are not safe for those who are breast feeding. According to the Lean Xplode Advanced Fat Burner reviews on Amazon customers have given the product a 4 out of 5 star rating, which is pretty impressive. That said we have seen many poor supplements with a high rating on Amazon, something that has made us rather suspicious about how these reviews have been obtained. Many brands give away thousands of pounds worth of product in return for 5-star feedback from their customers. Perhaps unsurprisingly these reviews don’t come with photos to support them. Negative reviews are also present, although they are in the minority. Only 5 percent of reviewers gave it 1 star, stating that it did nothing for them. If you are interested in the Prime Labs sister product Luxury Lean then you can find review on the Luxury Lean website. While taking this supplement will likely not do any harm or damage to your weight loss goals, it isn’t the best fat burner you can buy. At just two pills a day, it does not promote consistent fat burning. Moreover, it is missing more clinically-backed ingredients that could replace some of the more ambiguous and confusing ones included. In our opinion, it is better to see good, effective and healthy doses of a few proven ingredients. Rather than several ingredients that make the label longer without adding anything particularly beneficial. All in all, it may work as part of a healthy diet and lifestyle, but we advise you investigate other leading supplements before making a decision. Have You Used Lean Xplode?